Thanksgiving is just a week away and what better way to repurpose your leftover turkey than with a delicious Rachel sandwich that captures two of America’s favorite food…Turkey and the venerable, beloved Reuben!! 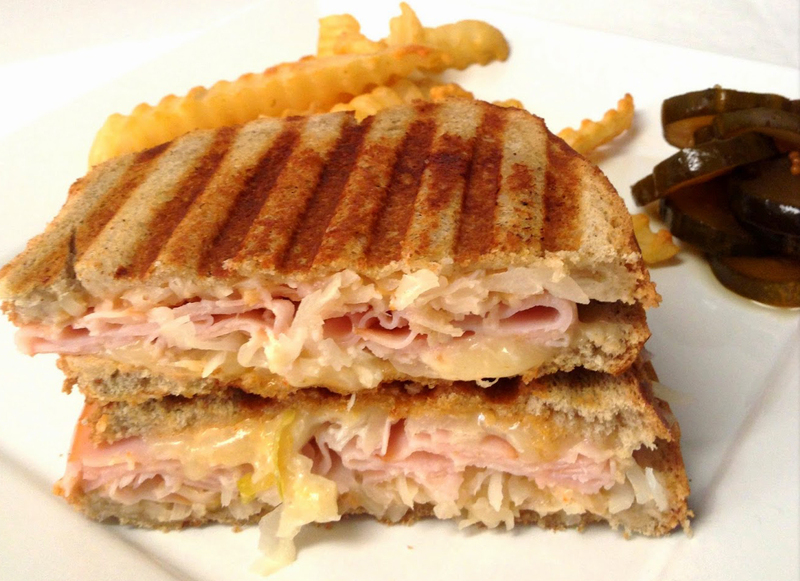 While the classic ingredients of the sandwich taste can never be replaced, a grilled turkey Rachel offers a distinctive taste that will leave a craving for more, more, more! This easy recipe consists of few ingredients that can often be found around the kitchen and takes less than a half hour to create. Preheat a nonstick skillet over medium heat. In a large skillet, melt 2 tablespoons butter over medium heat. Add the coleslaw, vinegar, salt, sugar and pepper. Cook until the coleslaw is wilted, stirring frequently, 5 minutes. Spread each slice of the marble rye with Thousand Island dressing. Layer the turkey evenly over half of the bread slices; top each with 1 slice Swiss cheese. Spoon the coleslaw mixture evenly over the cheese. Cover with the remaining bread slices, dressing-side down. Spread softened butter over the bottom and top slices of each sandwich. Grill the sandwiches until golden brown, 4 to 5 minutes per side. Serve immediately.